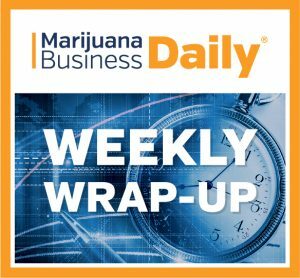 California’s wildfires could adversely affect marijuana crops, Maryland’s MMJ commission is taken to court, and Arkansas accountants get permission to serve cannabis firms. A series of raging wildfires in Northern California that have killed at least 21 have also wrought havoc on the state’s marijuana industry, with the San Francisco Chronicle reporting that at least two dozen cannabis farms have burned to the ground. The fires haven’t been contained, so the extent of the damage is still to be calculated, said Josh Drayton, communications director for the California Cannabis Industry Association. He also noted that many of the MJ farms that have lost everything are either underinsured or not insured, so it’s possible the fires will dash any hopes those growers may have had of joining the regulated California cannabis market. If many of those farmers are unable to recoup their losses or contribute to the state’s cannabis inventory, there could be “ripple effects” during the January rollout of the regulated MMJ and adult-use markets, Drayton said. For instance, it’s possible the fires could lead to an increase in wholesale cannabis prices due to an inventory shortage, and it’s also likely much of the cannabis currently being grown – even if it’s not burned by the fires – could prove unusable by retailers. But, Drayton cautioned, it’s still too early to determine the full impact on California’s cannabis industry. A lawsuit on whether state regulators improperly awarded cultivation licenses could end up giving the state’s medical marijuana program two additional business permits. That revelation came to light during a Wednesday hearing for a lawsuit that GTI Maryland and Maryland Cultivation and Processing (MCP) filed against the state’s medical cannabis commission. According to Debby Miran – a former Maryland MMJ commissioner and now a cannabis consultant – Baltimore Circuit Judge Barry Williams said he has the authority to add the two plaintiffs to the program. Such a move would expand the total number of cultivators to 17. There is precedent. Earlier this year, Florida added licenses to its MMJ program after companies challenged the licensing process. MCP and GTI went to court because they were denied cultivation licenses, even though they scored higher in the application process than two other companies. Though MCP ranked eighth and GTI 12th, the Maryland Cannabis Commission gave licenses to No. 20 Holistic Industries and No. 21 Shore Naturals Rx based on the companies’ geographic locations. The commission said its decision was based on MCP and GTI ranking the lowest among applicants in a region that regulators deemed would be oversaturated. So MCP and GTI sued, arguing the state should have specified upfront that geography would be a deciding factor, not created as criteria after the fact. Arkansas’ top government accounting agency issued guidelines that permit CPAs to serve businesses involved in the state’s legal medical marijuana program, which goes online next year. Arkansas is at least the ninth state to issue guidelines on whether, or how, accountants should serve legal marijuana businesses. Through April 2016, accounting boards in Arizona, Colorado, Connecticut, Florida, Maryland, Nevada, Oregon and Washington state issued such guidelines, according to the Association of International Certified Professional Accountants (AICPA). Those boards have generally said that CPAs are not prohibited from providing services to marijuana companies, so long as the businesses they serve are in compliance with state laws. But those guidelines – like the AICPA’s – also caution accountants to consider the risks of serving businesses involved in the marijuana industry. Indeed, many traditional accounting firms are still leery of taking on cannabis-related clients because of marijuana remains federally illegal. But in the past two or three years – as more states have legalized medical and recreational marijuana – there has been an increase in accountants serving the cannabis industry, said Aaron Smith, executive director of the National Cannabis Industry Association (NCIA). Of the NCIA’s 1,400 members, 26 list themselves as CPAs, Smith said. While most CPAs who serve the cannabis industry would do so even without professional permission, such guidelines are still helpful, Smith said. Accounting isn’t the only ancillary white-collar profession where professional boards have issued guidelines on serving MMJ businesses. Some bar and legal associations have done just that, and most of the time, those guidelines have allowed members to serve marijuana businesses. But there have been instances where state-level legal and medical boards have told professionals they could face ethics violations or other penalties for serving MMJ clients.